Combining a powerful 7-step methodology with an intuitive online tool, MPlan has the capacity to quickly generate complete 1-50 year maintenance plans from the front page through to the detailed list of works and projects. MPlan is used to manage over $60 billion worth of assets and is a reliable and cost-effective solution. 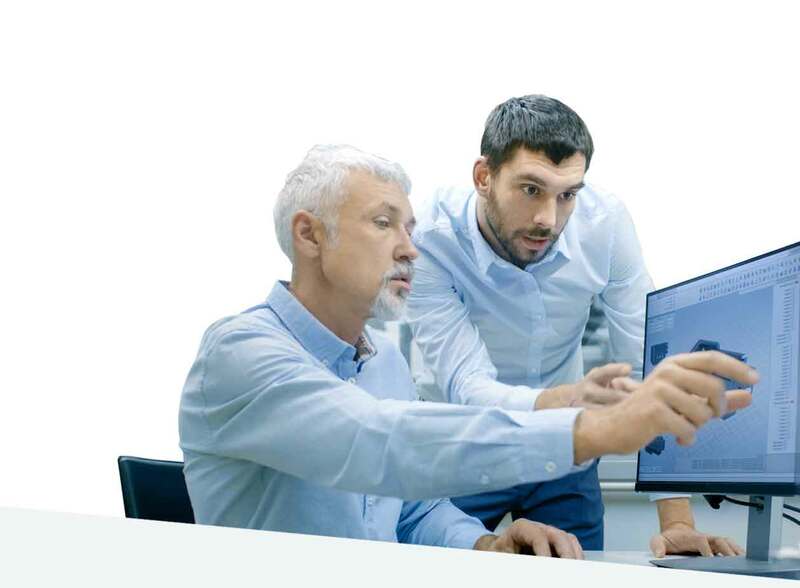 From a single building to a multi-location portfolio, our facility forecasting software will optimise your maintenance budgets and resources. Fast, accurate and easy to use, it simplifies the entire process to give you ongoing time and cost savings. MPlan can reduce the cost of condition audits by up to 75% compared to traditional methods. Our smarter approach gives you the tools to deploy your resources where they’re needed most and negates excessive wastage. The traditional methodology used to conduct condition audits is lengthy, expensive and complicated. Assessments are performed on-site and the defect surveys record every issue, no matter how minor or insignificant. These irrelevant records waste time and effort, not just in the initial assessment, but also in the ongoing management of the works program. Importantly, the strategic factors affecting the asset or portfolio aren’t integrated with the data collected. This results in asset plans that aren’t always addressing the most critical maintenance issues. MPlan has transformed the way condition assessments are undertaken. Our desktop approach eliminates the need for on-site audits, resulting in major time and cost savings, especially for portfolios with multiple assets located over geographically diverse or hard-to-access sites. The traditional FM Planning approach usually involves engaging lots of experts in a long, drawn out and expensive process. Alternatively, asset managers make an educated guess based on last year’s plan and hope there are no major repairs on asset failures in the coming year. Either way, the resulting plan is overly complex, hard to analyse and makes priority or risk-based funding forecasting extremely difficult. MPlan focuses only on the major and highly relevant repairs and replacements. This simplifies the data collection process and makes ongoing management easier and more economical. With MPlan, you have a fully supported FM forecasting plan for your entire portfolio that’s accurate and up to date. Bringing in a team of external experts to run condition assessments and develop annual FM Plans isn’t a sustainable solution. Nor is purchasing expensive software that’s complicated to learn and even harder to use. The resulting costs of reviewing and updating plans are continual, expensive and hard to justify. We’ll fully train your staff in the 7-step methodology and ongoing use of the system. We’ll also support you to develop your own maintenance plans, including conducting regular reviews and updates. This transfer of knowledge gives you a sustainable outcome that will continue to deliver savings every year. Set-up is quick and easy. Tailor the data to suit your critical asset management reporting. Aligns with third-party asset management systems. Generate automatic life-cycle modelling over the planning period, such as repaints every 10 years occurring 5 times within a 50-year plan. The CPI function lets you easily update your data to reflect current values and costs. We train your key staff how to collect and update your data to ensure your plan remains relevant. Your people will have the knowledge to quickly assess and update your data when needed. Produce facility life cycle maintenance planning ranging from 5 to 50 years. Filter and export to spreadsheet. Use the data to model life-cycle scenarios aligned to strategic directions and risk. Incorporate routine maintenance and budgets to produce a holistic asset plan. Upload critical documents, photos and old plans to ensure subsequent updates and new users align with the strategic context for the future. Retain your data online in our secure cloud-based system for future updates. 100% browser-based so you don’t need to manage IT problems. 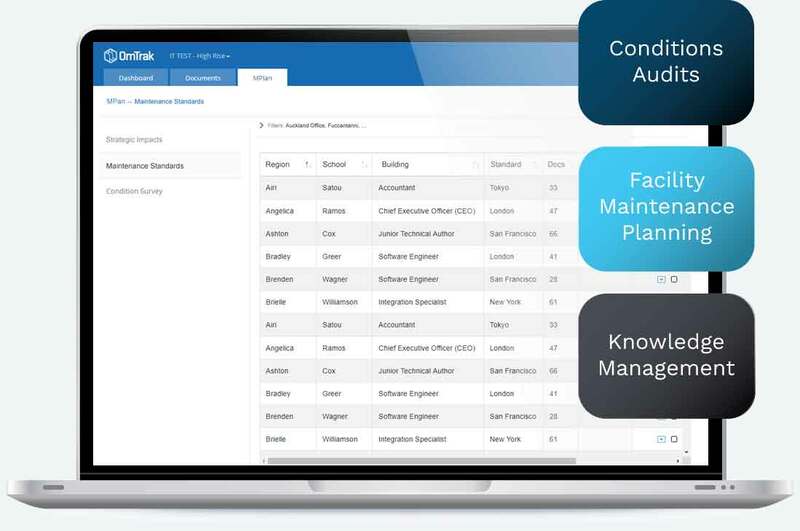 If you believe your organisation can benefit from a highly efficient facility maintenance planning software, MPlan may very well be the solution for you. If you have further enquiries, make sure to contact WebFM today and we’ll be happy to answer any of your questions. In addition to our MPlan facility maintenance services, WebFM offer a suite of consultation services and project management software to ensure your organisation can thrive, now and into the future.